If you spend any time on Pinterest, chances are that you will quickly come across several ideas for chalkboard art. Why, do you ask? 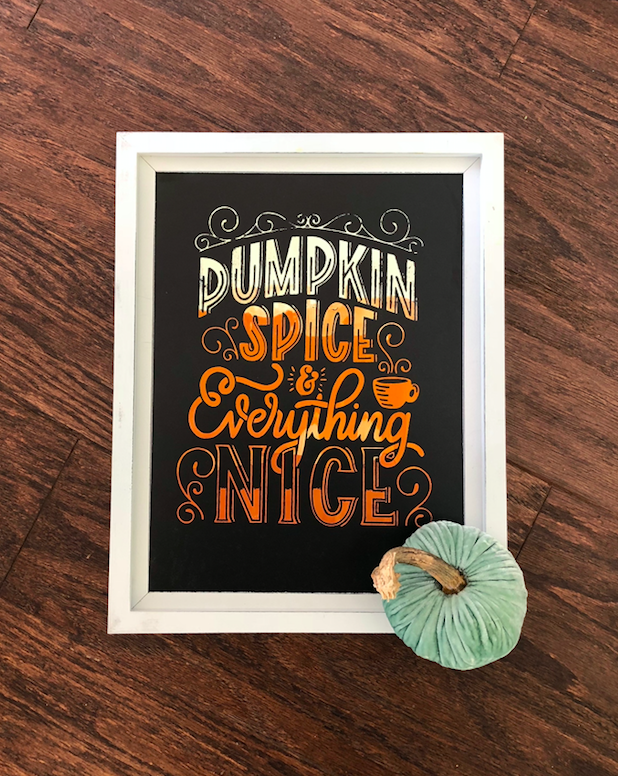 Well honestly, because, chalkboard art it generally quick to accomplish, easy to do, and looks awesome in just about any space you can imagine. My only general complaint is that it happens to wipe off if you accidentally graze it as you walk by. Well, my friend, not anymore. This is part of the reason why I love Chalk Couture so much. Once it dries, it’s dry. That means no more spending time on a project just to have it disappear by a strong gust of wind. This project is no different, though it does have a little twist included…in the form of ombre!! Yes, ombre chalkboard art! You know I am a fierce lover of Chalk Couture, and when I figured out that I could create ombre chalkboard art my heart skipped a beat. To create this project you are going to need a few things. In the simplest of terms, chalkboard art is the art of using a chalkboard surface to create art or even a graphic. Your limitations are generally left up to your own imagination! !